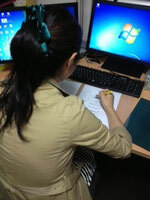 We have a group of experienced English-to-Japanese translators in order to satisfy our client's needs. Your translator is selected on the basis of the technical background. Our translators are all Japanese-speaking native translators with a solid academic background and a professional record. a group of biotechnology and pharmaceuticals. We need at least 10 days to complete a translation of 10, 000 English words. A translator needs about 5 to 7 days to translate a patent specification containing 10, 000 English words. We need another 2 to 3 days to review and complete the translation. * Turnaround time does vary depending on various factors such as the difficultly of a specification and the schedule of a translator.